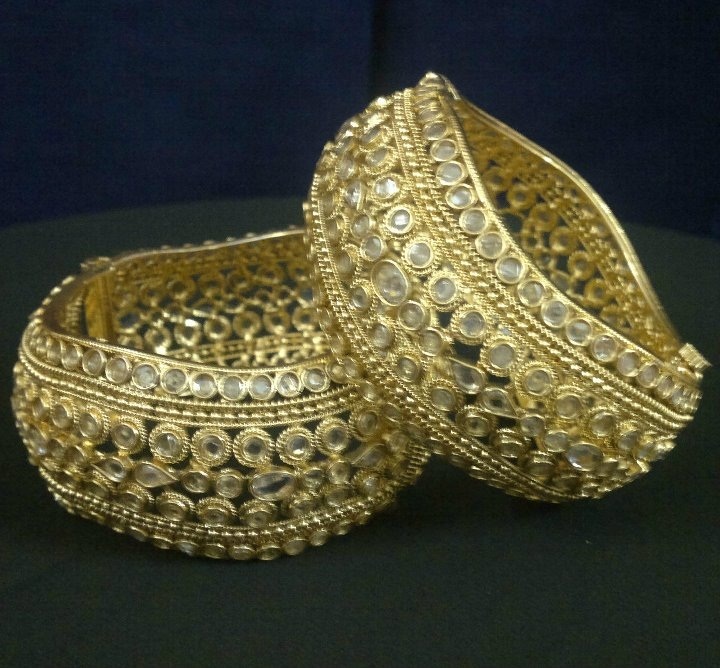 Wedding Wear Gold Bangles Chura For Brides are studded and beaded. 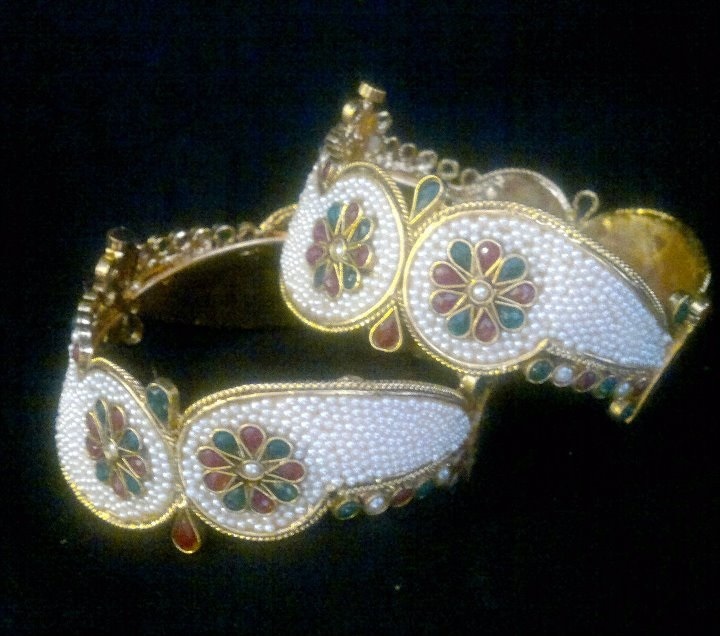 Choora and bangles are in unique style and trendy.Bridals love to wear these bangles on wedding day.These bangles are gold platted and studded with precious pearls and gems. Bangles are every where in market in all countries.Every girls Love to wear bangles on all kind of events and also in causal wear. 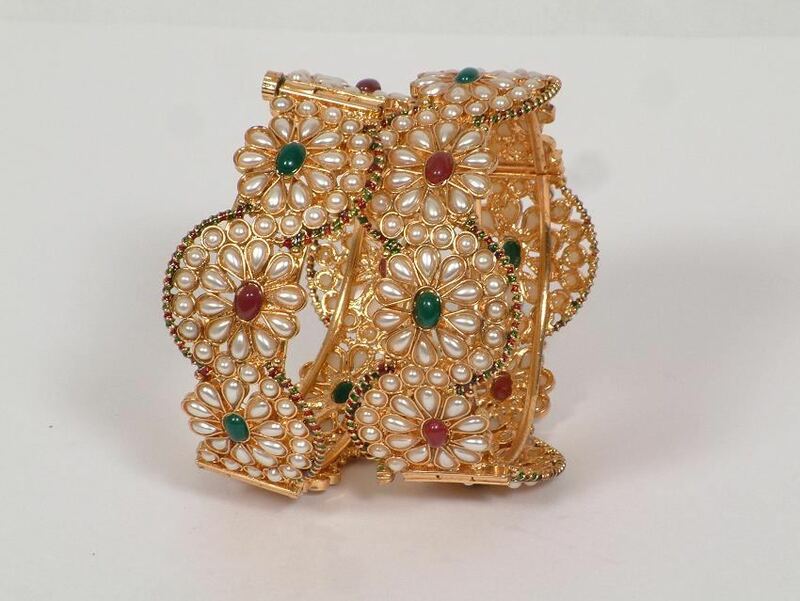 Bangles are traditional ornaments worn By the women.White Stone Gold Bangles For Bridal are beautiful.these are msde by the gold and beaded by the white stone and kundan.